We really enjoyed our trip. The itinerary was exactly what we wanted and it worked out well. The travel arrangements in between countries were well timed and made very easy by drivers etc. We liked the hotels and the locations but we didn't get great rooms in all places. The guides were knowledgeable and we had good walking tours. Nothing really went wrong. The logistics all came together. You folks have a great team. We were uncomfortable about tipping. Your instructions could have been clearer. We tipped some drivers and not others, most guides but they did seem to expect it. 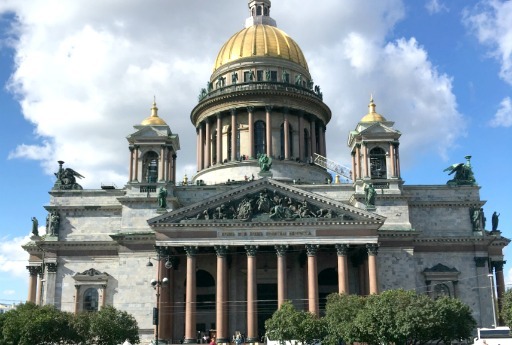 For most American the schedule in St. Petersburg should allow for lunch. Do not schedule the Hermitage the day after is has been closed! The Russian museum was a bust for us, consider omitting it. You have made arrangements for friends for next month in St Petersburg. We will tell them what a good trip we had and give them some of our recommendations.